Living in China, there are many western dishes that are almost impossible or crazy expensive to make. Pizza dough; however, is not so complicated if you are making a basic pizza or calzone. (mind you, cheese is not cheap in China but most other ingredients should be easy to acquire). 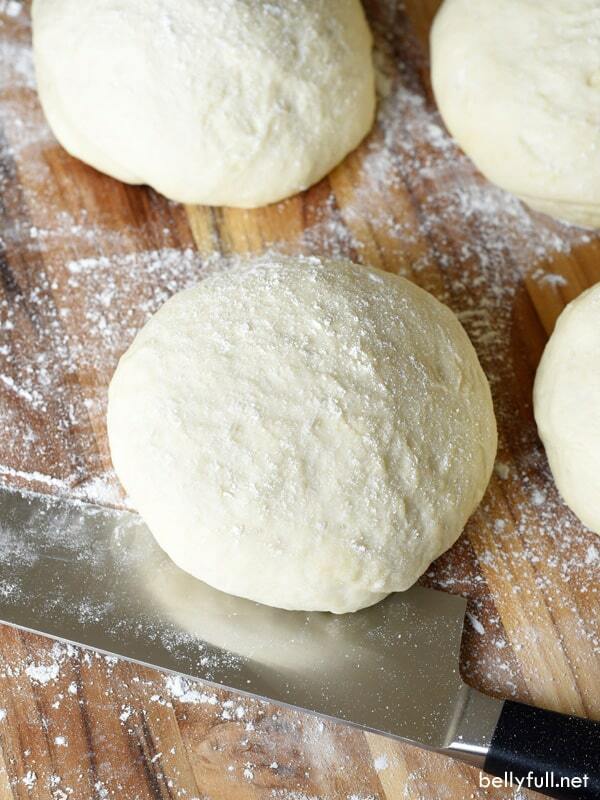 Quick and Easy Pizza Dough – No electric mixer or fancy pizza dough hook needed here! Mix everything in one bowl, let rise for an hour, knead 1-2 times, and that’s it! Makes 1 large pizza, cut in half for 2 medium pizzas, or quarter it for individual pizzas. 5. Suggestion on cooking: preheat oven to 450 degrees F for at least 30 minutes, preferably an hour. Place dough on some lightly floured parchment paper; starting at the center and working outwards, use your fingertips to press the dough to 1/2-inch thick round. You can pinch the very edges if you want to form a lip. Transfer parchment with the flattened dough to a peel or baking sheet. Brush with a little olive oil, then your sauce and toppings (do not load up each pizza with a ton of toppings as the crust won’t end up crispy that way.) Slide the pizza, along with the parchment, off of the peel and onto the baking stone in the oven. Bake for 10 minutes, until the crust is browned and the cheese is golden, then sprinkle a little more cheese and bake for another 2 minutes until melted.